As you might have guessed, ties weren't always churned out by huge manufacturing equipment — they were made on a single needle sewing machine, by a single operator. Return to this time with J.A. Christensen Maker Ties ($90). 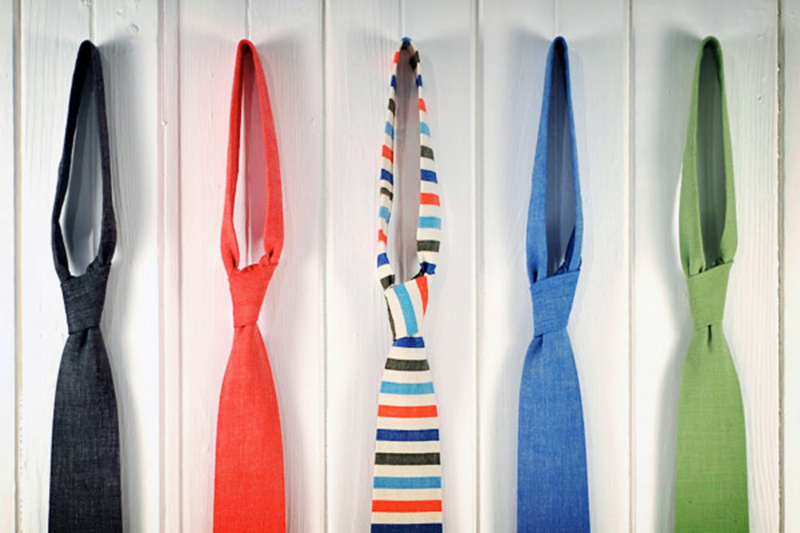 Created with these classics in mind, these ties are cut across the fabric's width to give them a unique look, and feature square backs, vintage denim construction, a length of 55 inches, and width of three inches — not too short, not too skinny, but just right for pairing with a modern suit and shirt.